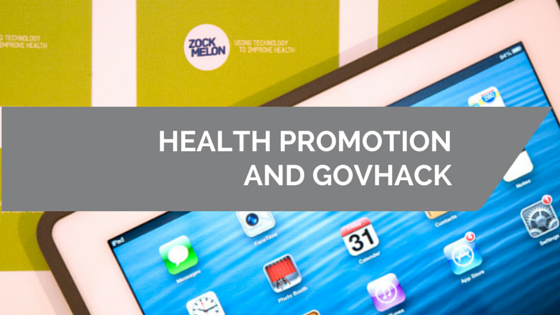 What can health promotion gain from participating in GovHack? The Zockmelon team are big fans of The Apprentice UK, the version with the gruff-but-with-a-heart-of-gold Lord Alan Sugar. On the reality show, contestants work in teams bickering and sorting out their pecking orders in order to achieve something that would normally take months of work in an ordinary business environment. The closest thing to this for us was Unleashed Adelaide, the South Australian event for GovHack 2013. We had under 48 hours to complete a technical solution (such as an app or website) using data ‘unleashed’ by Government departments. However, GovHack represents far more than a competition. For people working in public health and health promotion, GovHack could be a possible solution to those ‘wicked problems’ that we are up against. Perhaps an important aspect of the event was in bridging the gap between the amount of information the government has and the public’s ability or desire to access it. “Data is the iron ore of the digital age, is an increasingly important community asset held by government,” the Department of Premier and Cabinet spokesperson said. 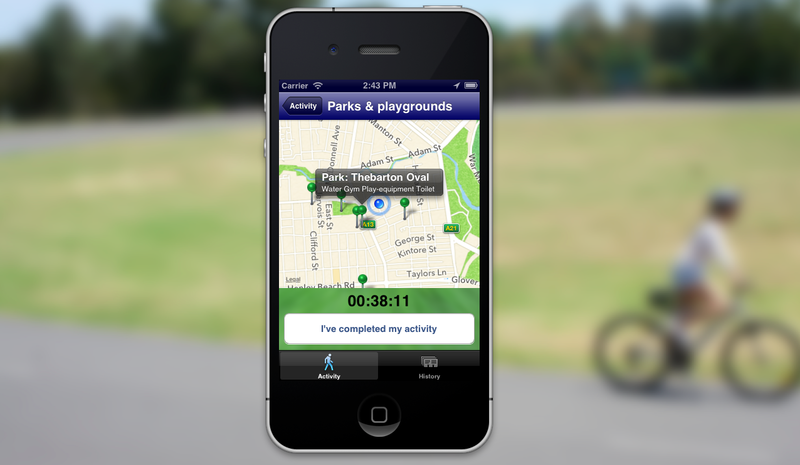 Zockmelon’s entry used data on cycle paths, walking trails, parks and playgrounds using the premise that people could discover hidden gems in their communities and keep active, without the need for gyms or organised sporting teams. Several other teams also selected recreation data also which says that even hackers can see the need to create solutions for staying connected and keeping active. Screenshot of the LocalActive app created over a weekend for GovHack 2013. You can see our entry at http://hackerspace.govhack.org/?q=groups/localactive. While we’d do many things differently with the benefit of hindsight we’re pretty happy just to have completed an entry… especially given we were a team of two wrangling a toddler over a weekend and a pregnancy! So if your organisation is faced with a problem, issue, health concern or whatever it may be, think about the importance and possibilities of an open government approach. You never know what ideas and innovations could be generated. Zockmelon won in the category ‘Safe Communities, Healthy Neighbourhoods (DPTI)’. We also received an honourable mention for ‘Best use of Local Government Data (LGA)’ category. We would like to thank the amazing organisers of UnleashedADL and GovHack 2013.